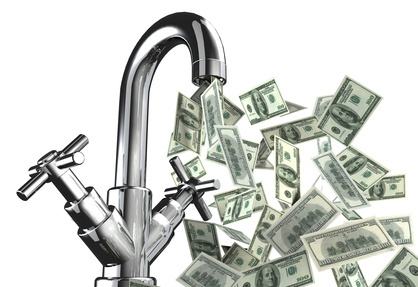 Paying Your Plumber Too Much Per Hour | Robins Plumbing, Inc.
Are you paying your plumber too much per hour? Let’s face it, plumbing prices are all over the board in Arizona. The competition is fierce and pricing gimmicks are everywhere. How can a homeowner decide which plumbing contractor to use and if they are being charged a fair rate? When price shopping for your next plumbing project here are some guidelines. Let’s break down the difference between hourly shops and flat rate shops so you can better choose which type of company is best for you. Hourly plumbing companies typically have a set hourly rate dependent on the experience of the plumber. A journeyman plumber is at a certain hourly rate while an apprentice and laborer are set at lower hourly rates. When considering choosing an hourly company verses a flat rate shop there are some things to ask yourself. Is an hourly plumbing company charging me a fair rate? The rate you are charged isn’t dependent truly on the hourly rate, it is actually dependent upon the time spent. The question becomes, is the plumber working as efficiently and quickly as possible since he or she is going to make the same exact wage whether they are at your location or someone else’s? The dirty little secret that many hourly plumbing companies don’t want you to know is that their plumber is trained to take as long as possible on your project because it is more cost effective for the company. Many hourly shops train their technicians to only run 2 calls a day, and that they are responsible to make each of those calls worth $750.00 + each to make their daily quota. How do they do this? They accomplish this goal by training their technicians to take their time and by not stocking materials on their vans. Not stocking materials on the van means that time is spent on your clock running for parts. Hourly shops often times also charge separately for equipment fees on the project, so while a low hourly rate may sound enticing, the hidden shop charges that clients aren’t aware of can increase the bill dramatically. Flat rate shops such as Robins Plumbing operate differently. They have a set flat rate per project, so much like ordering from a restaurant menu you have a clearly defined price for the project. With flat rate pricing it doesn’t matter if it takes the technician fifteen minutes or two hours, your price remains the same. Flat rate allows clients to budget their item without the worry that it may cost more because the plumber took longer than they thought it would take. At Robins Plumbing we have large box vans that are stocked with materials to reduce the amount of time spent running for parts. This means a quicker job for you, and it also means that you’re not paying for the technician to run for materials. Flat rate pricing also encourages the plumber to perform the project quickly and efficiently, ultimately this method saves you time. Do you want the plumber to be at your home all day milking a clock or do you want them to be done as quickly as possible so you can get on with your life? Flat rate technicians invest a lot of money into tools and equipment that speed the project up so they can get done more quickly and on to the next project. Ultimately the choice is yours on which type of plumbing contractor you should choose and we hope that this article helped to educate you so you can choose which is best for you. Whether you choose an hourly company or a flat rate company ALWAYS make sure the contractor you choose is licensed, bonded and insured.